Pathologic: Ice-Pick Lodge’s Re-Invention Looks Mysteriously Magnificent | "DESTROY ALL FANBOYS!" Back in 2005, Russian developer Ice-Pick Lodge released Pathologic, an unsettling horror/adventure/RPG hybrid that garnered excellent reviews at home, decent to fair reviews in the west, and gathered somewhat of a “cult” following for its unusual, creative art direction, extreme difficulty and distinctly bleak tone. The game’s fan base grew with its gog.com release and subsequent 2012 HD remastering (both of which come with the purchase of the HD Classic version). With a successful Kickstarter to re-imagine the game in 2015 for PC (and possibly consoles) Pathologic’s new path has added even more fans to this weird game’s potential player base. Ahead of Gamescom, IPL has released a nice set of screenshots that show off some lovely, haunting images from the new version. Let’s take a look now, shall we? While gameplay videos have yet to surface, this 2014 Kickstarter video should give you an idea of what to expect. As the game has no set release date, the waiting period between information drops will no doubt keep fans begging for more. It’s a good thing there’s a board game coming to make that wait less frustrating. Pathologic is a story-driven, open-word survival game, a re-imagining of an acclaimed cult game from 2005 developed by Russian studio Ice-Pick Lodge. In Pathologic you play as one of three specialists send to a strange steppe town to fight against a mysterious, terrible Plague that is rapidly spreading its deadly effects. Every character is different, and thus offers different gameplay experiences: one is a rational scientist from the Capital; the second is a local shaman’s son, and the third one a blessed fool, a half-crazy girl with no memory of herself. What is real magic to one of them becomes backwards superstitions to another. Pathologic allows you to take on the role of any of these doctors in order to overcome the invisible evil in the town and inside your very body. It won’t be easy: first and foremost you’ll need to avoid death, trying not to succumb to the disease, bandits, hunger, and fatigue; scavenging and bartering for bullets, bread, and milk. The game happens over the span of 12 days; every day has its own quests, plotlines and events, and during that time the disease spreads realistically — and decisions become even more difficult: helping someone or getting closer to the answers you need aren’t worth anything if you die. Your untimely death would mean the end of the town — the Army is already here, ready to burn it to the ground so that the Plague doesn’t spread. But there are so many people here with their thoughts, ideas, and beliefs; there are children who play strange games, there are physically impossible buildings, obscure steppe traditions, and mysterious creatures. Sooner or later all of them will confide their deepest secrets to you. Perhaps that’s reason enough to make the miracle happen — to save the town. – Explore a story-driven open world full of mysteries and strange terrors where nothing is accidental: every place and person has a story to tell. – Keep yourself alive in this first-person survival horror adventure against hunger, thirst… and the Plague itself! – Play as three characters with unique abilities and backgrounds that offer different gameplay experiences and storylines. – Discover a fascinating and disturbing world full of impossible buildings, strange rites and mysterious inhabitants. – Scavenge, gather and trade with your scarce resources. What is money worth if you are starving? Will you trade that kid a gun for a load of bread? – Fight in brutal, unpredictable combat against different enemies. – Face the mysterious Sand Plague, a realistically simulated disease which spreads in real time and affects both the gameplay and the plot. Ice-Pick Lodge is a Russian game development studio founded in 2002. During its trajectory, Ice-Pick has released four games: the original Pathologic (2005), The Void (2009), Cargo! A Quest for Gravity (2011), and Knock-Knock (2013). Their games have gathered applause both from players and critics, and some of their titles are considered “cult” games. 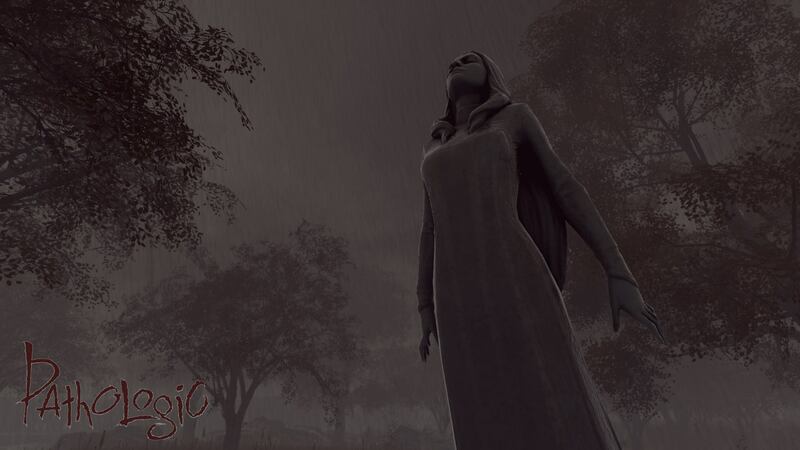 This new version of Pathologic is not a remake but a reinvention; it was successfully funded via Kickstarter in 2015. Ice-Pick’s philosophy is that games should give players food for thought, not just fun. Yes, the radar has a new addition to keep an eye on – stay tuned for more on Pathologic as information becomes available. This entry was posted in 2016, Commentary, DAF, Features and tagged Board Games, BUY This Game, Coming Soon, Commentary, Crowdfunding, Digital Games, DLC, Downloads, Gallery, Horror, Ice Pick Lodge, Indie Games, Indie Gaming, Kickstarter, Mature, Microsoft, PC, PC Games, PlayStation 4, PS4, PSN, SCEA, Screenshots, SEN, Sony, STEAM, Steam Greenlight, Valve, Video Game Trailers, Xbox Live, Xbox One, YouTube by geelw. Bookmark the permalink.